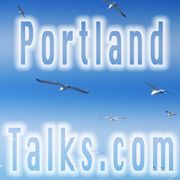 PORTLAND, Maine (AP) — A plan to run passenger train service from Portland to Montreal will be the subject of a public forum in Maine’s largest city. The event is scheduled for 6:00 pm on Thursday at the Stroudwater Distillery at Thompson’s Point. Speakers will include Portland City Manager Jon Jennings and Montreal train advocate Francois Rebello. The rail plan would link Portland with Lewiston and Montreal. Portland is the largest city in Maine and Lewiston is the second largest. PORTLAND, ME – AUGUST 04: Maine Governor Paul LePage, (R), greets the crowd before Republican Presidential candidate Donald Trump speaks at the Merrill Auditorium on August 4, 2016 in Portland, Maine. (Photo by Sarah Rice/Getty Images).